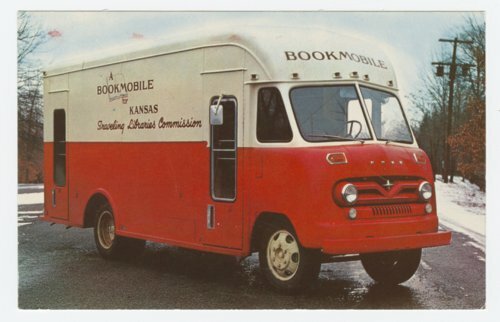 This postcard shows a bookmobile for Kansas, a service provided by the Traveling Libraries Commission. The postmark is July 3, 1958, and it is addressed to Nyle Miller, executive director of the Historical Sociey. It concerns Miller sending the writer information about the Society's publication "The Annals of Kansas."